A study of exploited populations of fish and other aquatic organisms. Theory and methods of defining fish growth, survival, mortality, abundance, and community interactions will be emphasized. Wisconsin, Great Lakes, and marine fisheries will be addressed. Prerequisites: BIO234, BIO242, MTH107. 4 Credits. Explain a conceptual model for the population dynamics of a stock. Estimate abundance from mark-recapture and depletion data. Estimate and interpret mortality from catch-at-age data. Estimate and interpret growth from length-at-age data. Fit and interpret stock-recruitment curves. Compute and interpret length frequency summaries and size structure indices. Compute and interpret condition indices. Describe the components of the fisheries management environment and the relationships between those components. Describe the steps in and components of the fisheries management process. 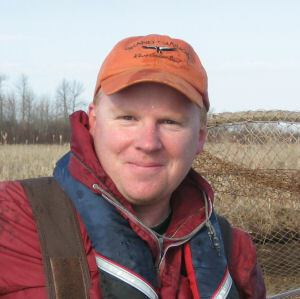 Describe how the concept of common property influences the behavior of fishers. Explain the purposes, strengths and limitations for a variety of management tools (including length limits, bag limits, closed seasons, refuges, stocking, ITQs, and catch shares). Make management recommendations that are founded on sound ecological reasoning and knowledge of fish biology, fisheries science results, and adaptive management principles. A variety of assignments (e.g., homeworks (as described below), preparation check-ups (as described below), exercise or case study write-ups, reflections on guest speakers, small presentations) will be given throughout the course of the semester. Printed assignments not handed in at the beginning of the class period on the assigned due date (announced in class and on the Dates page) will be considered late. Late assignments will generally not be accepted (please talk to me in advance if you are having trouble getting an assignment done on time). The lowest approximately 20% of assignment grades will be excluded when computing your overall grade. I am fine with you working together on assignments; however, I will not tolerate simply copying someone else’s answer. If you work together, than actually work together to solve the problem. Homeworks and Exercise Write-ups. – Several homeworks and exercises will be assigned per major module. Each assigment is worth 10 points and will be graded in two parts. The first part is an assessment of completeness and formatting (each assignment should follow the expectations outlined here and my scientific writing tips) according to the following rubric. Very few questions answered completely. Most questions answered completely. Format for homework may not have been followed. All questions answered completely. Format for homework followed exactly. The second part, also worth 5 points, is an assessment of the quality of the work. In this part, only some (approximately half) of the questions will be assessed. Answer keys will be posted online so that you may check your work. Preparation Checks. – You should prepare for each class period by reading the reading for the module indicated on the Dates page and announced at the end of the previous class period. A preparation guide is provided for each module to help you identify key concepts in the reading and videos (here’s an example). You should prepare your own hand-written1 answers or notes to each question on the preparation guide. Periodically I will ask you turn in your preparation notes. Each of these will be worth 5 points and will generally be graded according to completness and thoroughness. Other Assignments. – Specifics for other assignments will be provided with the assignment. Exams dates are shown on the Dates page. The higher of your two mid-term grades will be worth more than the lower grade (see [grade calculator above)(#grading)). Make-up exams will be provided only if you have a fixed commitment of sufficient importance that was set before the beginning of the semester or a verifiable medical condition. You will not be allowed to make up an exam missed without my prior approval. The final exam will not be given early. Limited opportunities for extra credit will be offered throughout the semester. Generally these opportunities will be related to your reflections from attending presentations, meetings, etc. related to fisheries science and management that are outside of the class. Examples would be attending the Midwest Fish & Wildlife Conference in late January and the Conservation Congress spring hearings in early April. Under Northland College policy (scroll down to “Incomplete Grades”), an incomplete grade will be given ONLY under extreme circumstances beyond your control, such as a major illness. An incomplete grade will be given ONLY if you have successfully completed the entire course except for the final exam. For most students, achievement is strongly positively related to attendance. I will take attendance each day but attendance will not factor into your final grade with the following exception. At the end of the semester I may, at my discretion, decide to eliminate some o your homework or exam grades. Your attendance record will be one item considered when I make that decision. As a general rule-of-thumb2, students are expected to spend between 2-3 hours of time outside of class for each hour in class. This course meets for 5 hours per week and, thus, you should dedicate between 10 and 15 hours of time outside of class to preparing for class, completing homework and other assessments, and studying for exams. As this is an upper-level course, these should be considered as the minimum time required to fully learn the course material. I do believe that the work required for this course can be completed within this expected amount of time, if that time is quality-time (i.e., without distraction). If you feel that you are spending an inordinate amount of time on some assignments because you are “stuck,” then start your assignments early so that you can stop (and do other things) and make plans to see me for help. This is a 300-level science course that is required in only one major; thus, you either selected that major or this course and I assume then that this subject is of great interest to you. This course is intense (both in quantity and quality of work) and I expect that you will appreciate that and honor that with considerable effort. I expect that you are conversant with topics from the three prerequisite courses (Ecology, Ichthyology, and Introductory Statistics). Additionally, I expect that you have reached a high-level of intellectual maturity by this stage of your academic career and, thus, will act professionally at all times, ask good and synthesizing questions, and communicate effectively, both orally and in writing. Finally, I expect you to work hard, but have fun doing that work. Arrive to class on time. If you arrive late, then take the first available seat as quietly as possible. If you need to leave early, then please sit near the exit. You are expected to attend the entire class period. Leaving class early defeats the purpose of the class period, does not take advantage of resources (i.e., the professor) that can significantly help your learning, and does not build statistical stamina. Computer use is limited to class work. If you choose to use your own computer, then please sit as far forward in class as possible. Do not engage in side discussions while I or others are speaking to the entire class. Do not sleep in class – this behavior is rude and distracting to others (especially the professor). Unpack before and pack after class – opening and closing backpacks, rustling of papers or jackets is disruptive and disrespectful to others. Do not use disrespectful language when addressing others. It is the policy and practice of Northland College to create inclusive and accessible learning environments consistent with federal and state law. If you have already established accommodations with the Office of Accessibility Resources (OAR), please communicate your approved accommodations to me as soon as possible so that we can discuss your needs in this course. If you have not yet established services through OAR, but have a condition that requires accommodations (e.g., attention, learning, vision, hearing, mental, physical, or other health related concern), you should contact OAR (Ponzio 231 or 715-682-1387) or Donna Jones-Ilsley, Coordinator of Student Accessibility Resources.